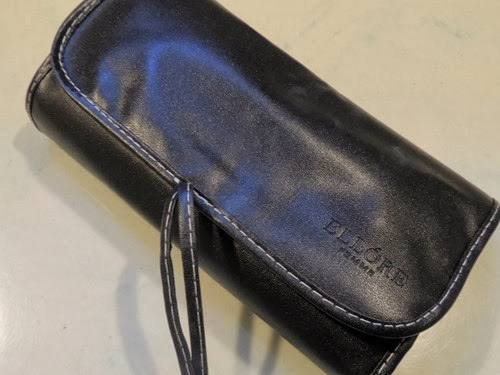 A few weeks back I expressed my excitement about the Ellore Femme Makeup Brush Set. I received my brushes and have been using them daily! I truly love them and am excited to share more about them here today. 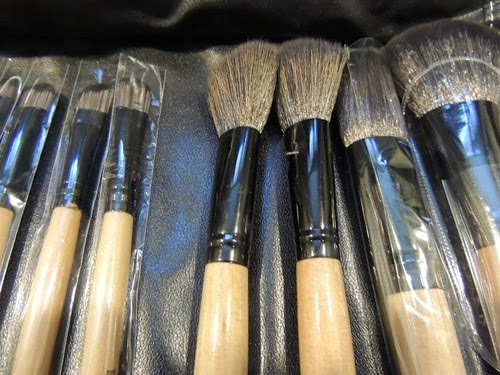 This set of brushes comes with specific tools meant to cover a wide range of areas from eyes to lips to foreheads and boast a luxurious blend of soft animal hair and synthetic bristles. 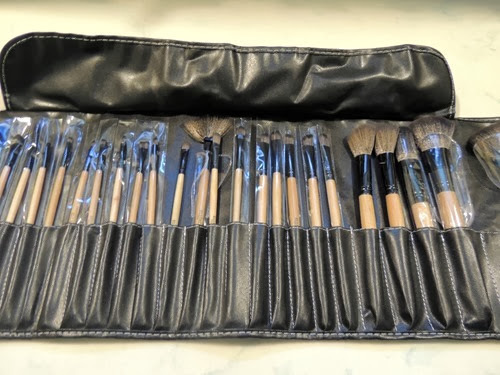 The slim brushes stay neatly lined within a fold-up PVC case. I am still getting to know these and coming to understand which brush is for what use, but the brushes included are: Bevel eyebrow/eyeliner brush, Concealer brush, Eyebrow and eyelash comb, Eyelash brush, Eye-shadow brush, Fine eyeliner brush, Foundation brush, Highlight brush, Large bevel contour brush, Large eye-shadow brush, Large powder brush, Lip brush, Medium bevel eyebrow/eye shadow brush, Nose-shadow brush, One large fan-shaped extra-powder brush, Powder and blush brush, Small bevel eyebrow/eye shadow brush, Small fan-shaped extra-powder brush, Sponge eye-shadow brush, Two medium eye-shadow brushes, and Two small eye-shadow brushes. The brushes are so soft and feel great to use. 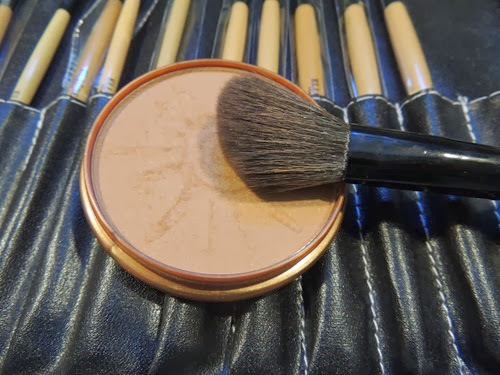 I love how much makeup the brushes pick up and how easily they transfer the makeup to my face. I also love the wooden handles, which are smooth and feel good to hold on to. The case folds up perfectly and is easy to transport for travel. I feel almost professional when I use these brushes! I received these brushes in exchange for my review. All opinions are my own and no other compensation was received.